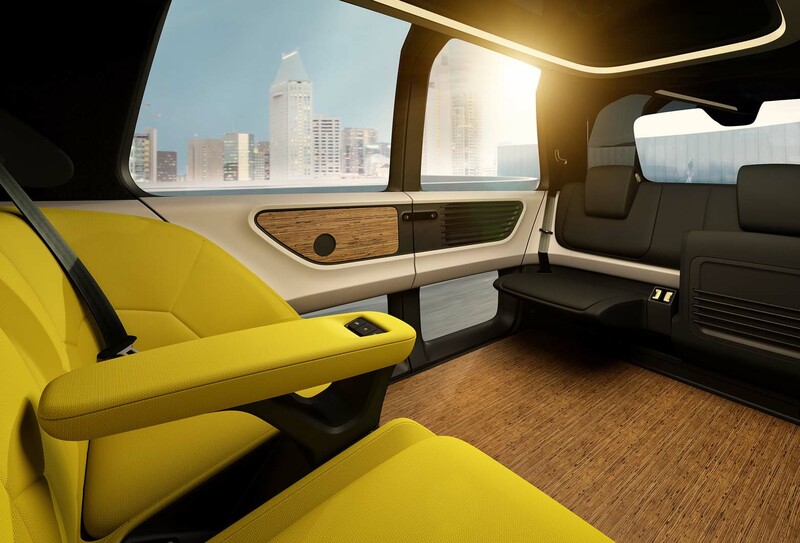 The rise of autonomous, electric and connected vehicles will fundamentally change how cars are designed and constructed, even allowing them to be made out of materials such as paper and bamboo. That’s the view of Peter Wouda, Volkswagen Group’s design director, who leads the car giant’s Future Centre in Europe. 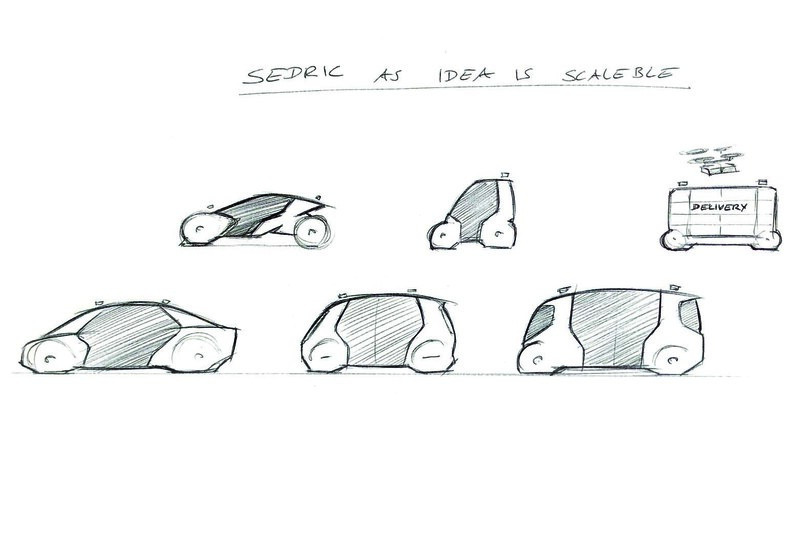 That centre is focused on developing forward-looking technology such as last year’s autonomous Sedric concept. While much of the car industry’s efforts are currently focused on semi-autonomous driver assistance technology, Wouda is looking further ahead to fully autonomous cars, which wouldn’t require any driver input. That development will fundamentally change how such cars can be designed. Using such materials could also decrease the weight of cars and therefore increase the driving range that can be achieved by batteries. 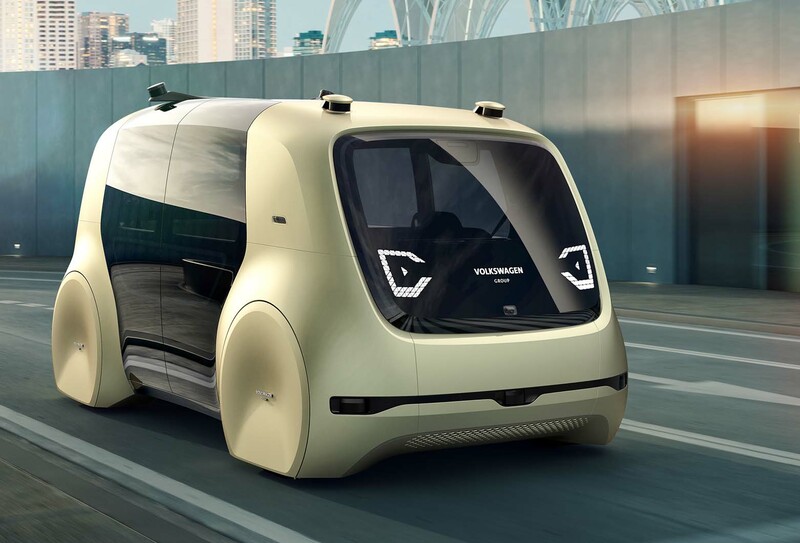 Wouda confirmed that a fully autonomous VW, similar to the Sedric concept, will be ready to take to the roads in 2021, but added that legislative restrictions would limit where and when the vehicle could be introduced. Wouda expects China to be first to permit mainstream fully autonomous vehicles to go on sale, because the government has more immediate power to pass through legislation than in most other countries around the world. The country has shown a determination to take a lead in such advanced motoring technology, and has already announced plans to allow autonomous cars in certain districts. It plans to gradually extend those areas over time. 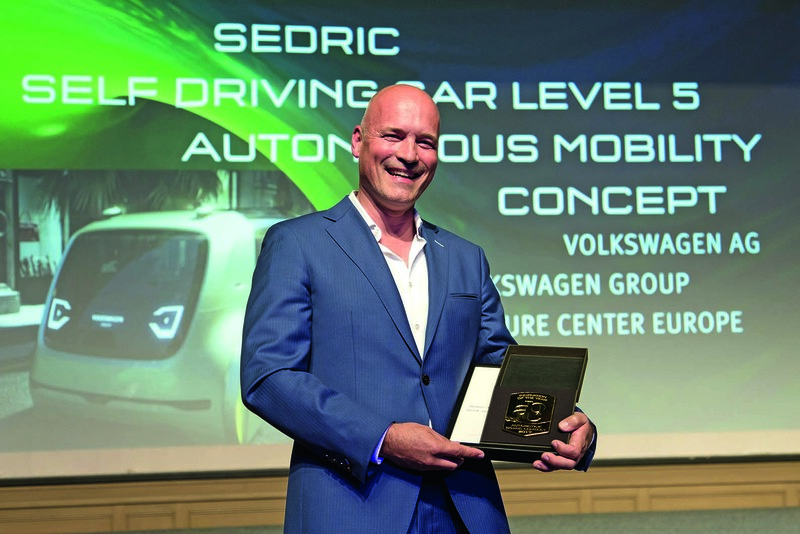 The Sedric has developed since it was first shown at the Geneva motor show in 2017, with VW having produced several iterations. It has the same footprint as the VW Up city car, but the absence of driver controls means it has more cabin space inside. Wouda said one version has been developed as a disco and karaoke bar – a concept keenly received in Asia – while another derivative is a school bus equivalent. The VW Group has different plans for its autonomous cars in different countries. “There are different ‘road maps’ [for self-driving cars] and the content inside the cars might be different,” said Wouda. “For example, in the USA, there is still a strong desire to be in the countryside. A Sedric for the States can be much bigger and needs to be independent from infrastructure [such as charging points]. Maybethat Sedric has to generate energy itself and will have solar panels on its roof. “In China, the Sedric would be a room in which the environment is more healthy than outside. In Asia more generally, people spend so much time commuting that they love to sleep, so the Sedric might have seats in which they could sleep. The styling of cars from individual VW Group brands must continue to be different in the future, according to VW Group design boss Wouda. “Brands exude a certain image, a lifestyle and trust, and those brand values are experienced through cars,” he said. “Design is increasingly important because if you look at an Audi or a Mercedes or a BMW, there is not an awful lot different between them [from a technical perspective]. A brand’s design has to be very sharp.” VW Group’s car brands meet at regular intervals to show future models to each other to ensure designs aren’t too similar. “It’s important to bring cars together to realise if something is such a global trend that we all have designed the same light graphic, for example,” added Wouda. They had this in the 1950s. They had this in the 1950s. It was called a railway, but then the Beeching cuts slashed everything in the 60s in favor of more roads. You can forget oversteer. They have these in Australia, in 2018. I use them every day to get to work and back home - they are an absoliute joy to use. We call them 'buses' over here. The only way a car such as this can exist - zero crash protection, made of paper, no seatbelts, parents and children paying happy families - is if every other car on the road was also fully autonomous, you can't mix these in with driver operated vehicles as the chance of a collision would still exist. 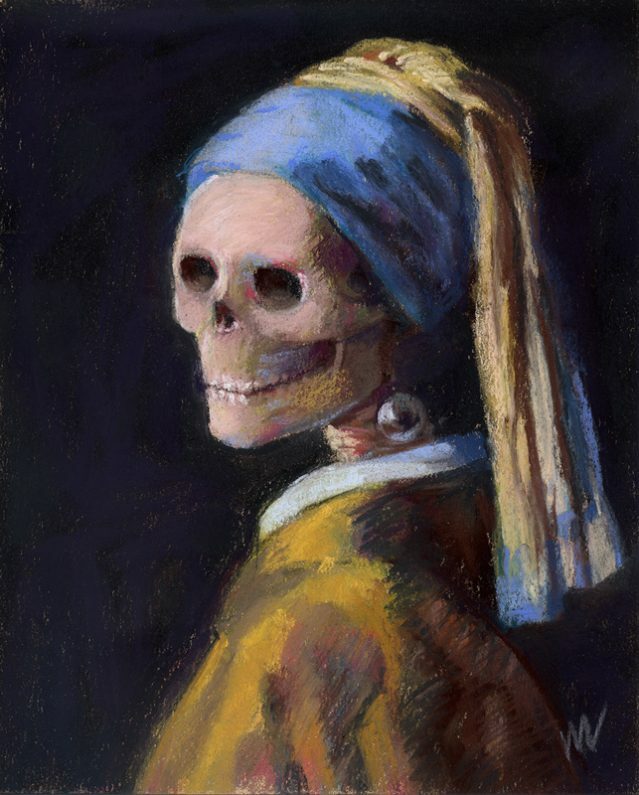 Still, I'm sure all will be well, it's not as if technology ever lets us down. I mean, when was the last time your smart phone or laptop locked-up...? When was the last time there was a signal failure on the railway...? when was the last time your flight was delayed due to "going technical"...? Even if all vehicles were automated, this guy's suggestion that you can design cars without any safety built in, is nonsense - even autonmous cars would crash, far less than human piloted cars, but there will still be occassional accidents. But we re talking decades into the future here. Ignore the guy, hes nuts. It seems that concepts for autonomous cars of the future are just a series of rounded boxes. No beauty, just pure functionality and space for occupants. I suppose that’s all that’s required for a future age when these vehicles become ever more dominant and legislation starts to discourage drivers actually taking control of their vehicles. Safer roads eventually, with “freedom of the road” and driving enjoyment becoming nostalgic memories. By then, of course, Autocar magazine will have away. Oops, last sentence should have read that Autocar magazine will wither away. Who's gonna buy a car called SEDRIC????? If this is the future of transport, I wanna die now!!!!! If this boring, horrible prediction comes true, I bet the classic car market will boom!!!! Surely, Sedric is spelt with a C. NIssan got it right, so why can't VW? And, of course, the design is absurd, unless they're proposing for it to float a couple of feet off the ground above the potholes and comotose policemen, but they know that, don't they? VAG should learn how to engineer current technology to an acceptable, legal standard before they begin to consider anything even remotely cutting edge. Best leave that to the Japanese.